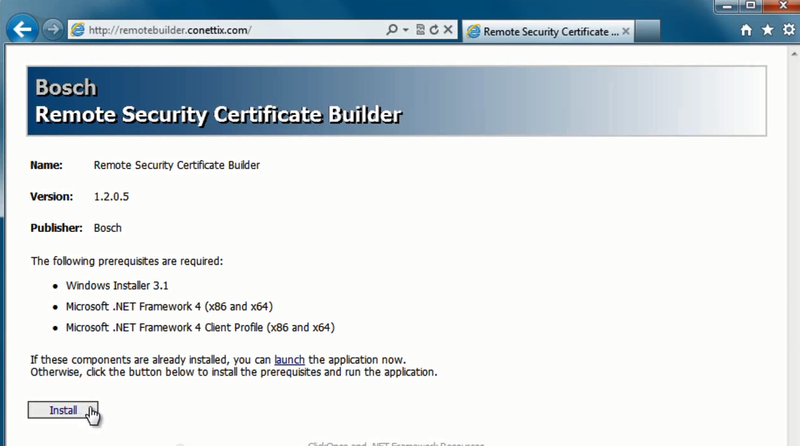 Download and install the remote ceritificate builder by navigating to and Clicking Install from remotebuilder.conettix.com onto your RPS enabled workstation with RPS Dongle. 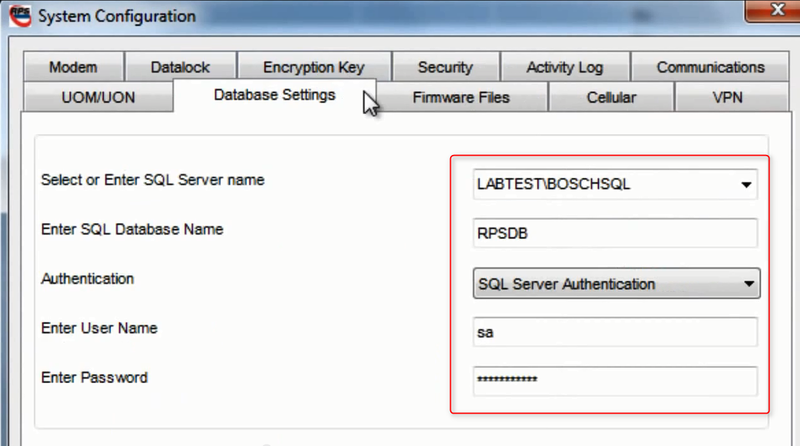 Open the Remote Security Certificate Builder (the first time you open the software you will need to configure your RPS database settings) then click Database Settings. 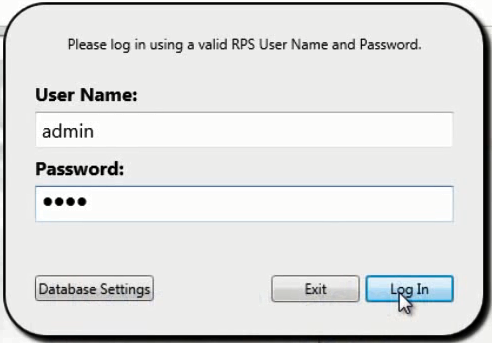 To locate your Database Settings Open and Log-In to RPS. Enter in the Database Settings information as it appears on the page in RPS. 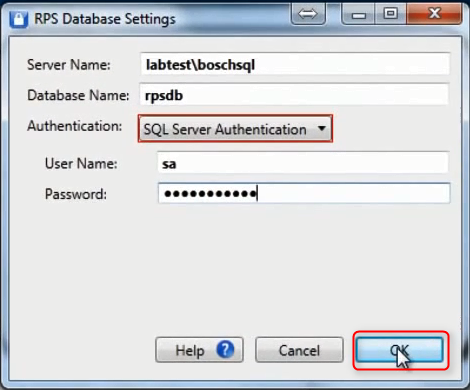 Then click OK. From: To: *the default password is RPSsql12345, older versions of RPS may use sql12345. 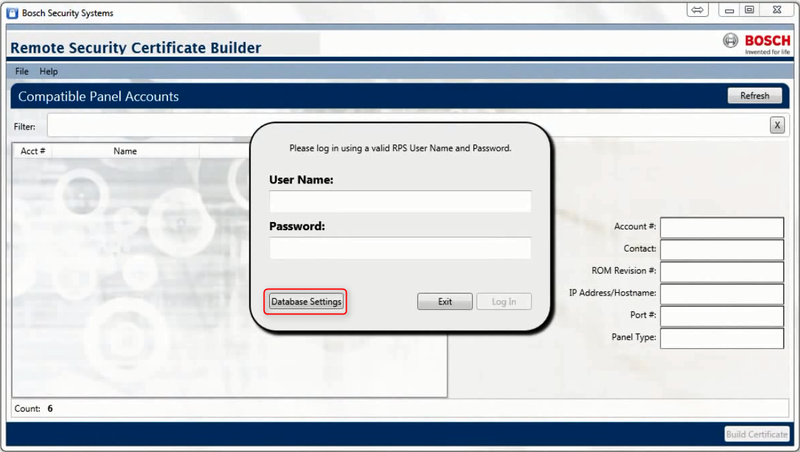 Log into the Certificate Builder using your RPS username and password. 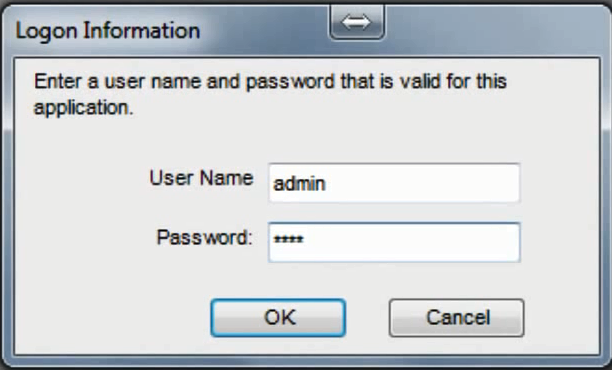 *the default username is admin, and the default password is 1111. 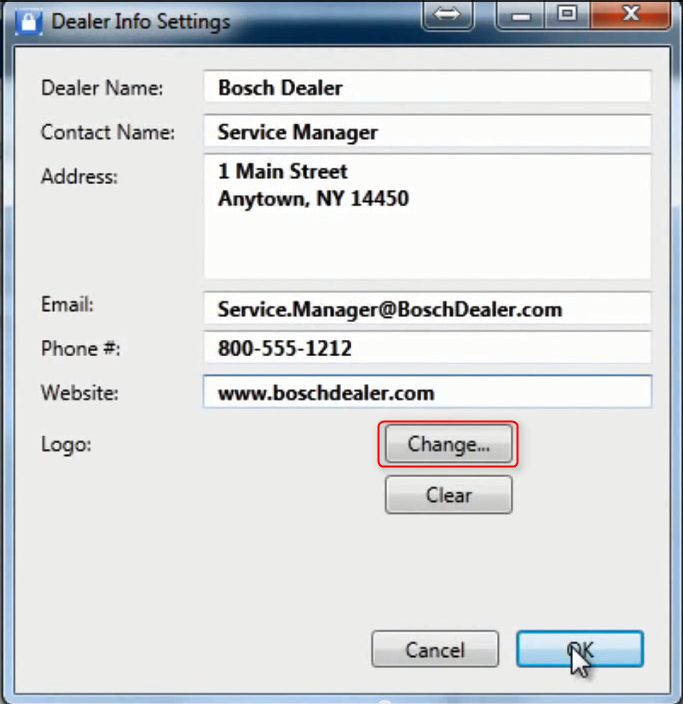 The first time you log in select File then Dealer Info. Enter in your company info. This will populate your information in the End Users Application. Select Change to upload your companies logo, then click OK when done. 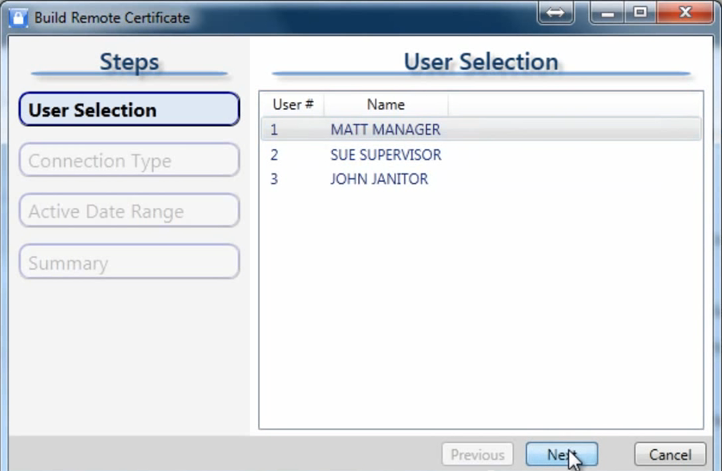 Select the User who you would like to build the certificate for then click Next. 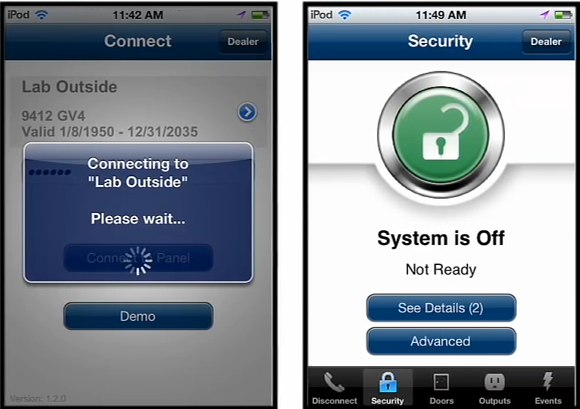 *the user will need to enter in their password to the mobile device applicattion before they are able to connect to the panel.If the user changes the password after the certificate is created a new certificate will need to be created for the user. 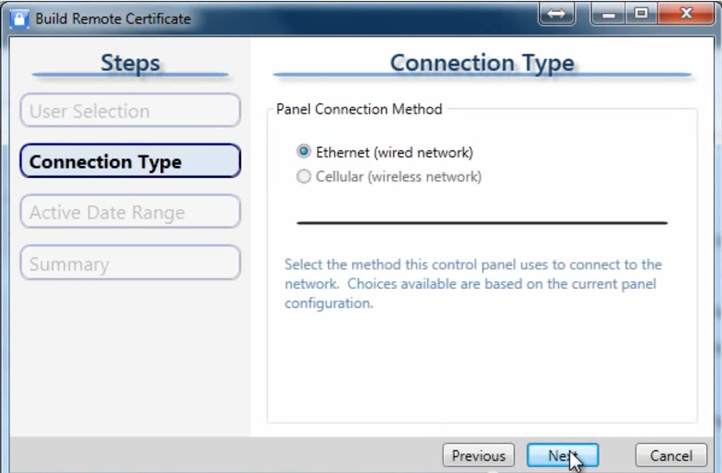 The connection type page allows you to choose the method to which you will access the panel, Select the appropriate type then click Next. 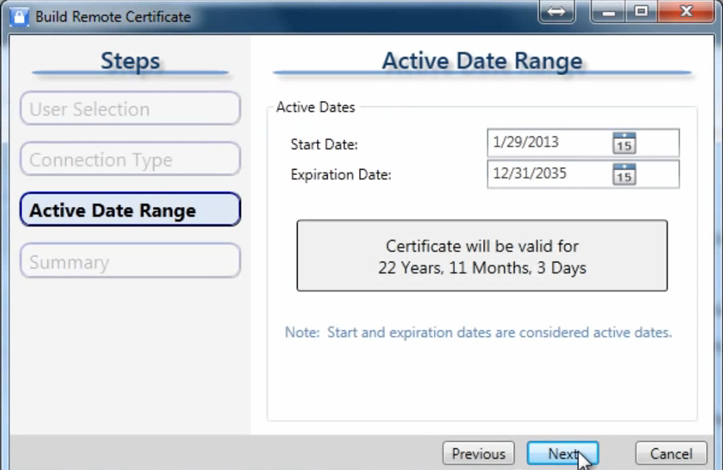 The Active Date Range page allows you to limit the certificate usage for instances such as leased or temporary user control. 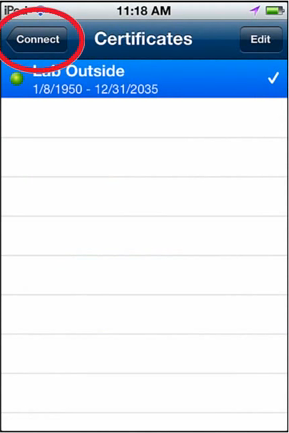 Once the date is set Select Next. 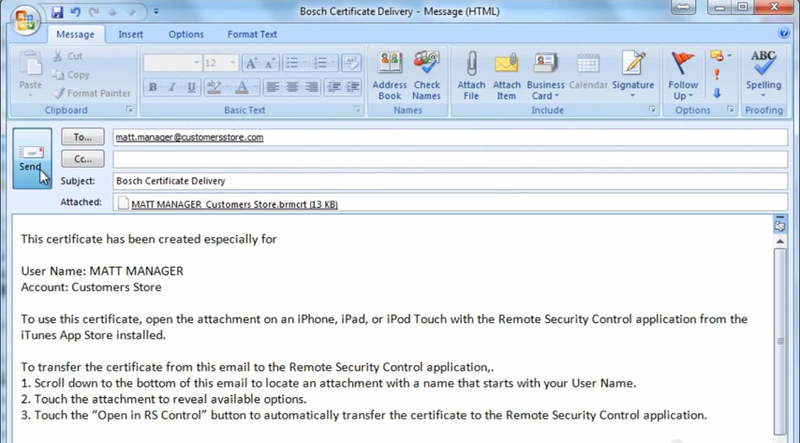 The Summary Page shows you the details of the certificate and allows for easy communication to your end user. 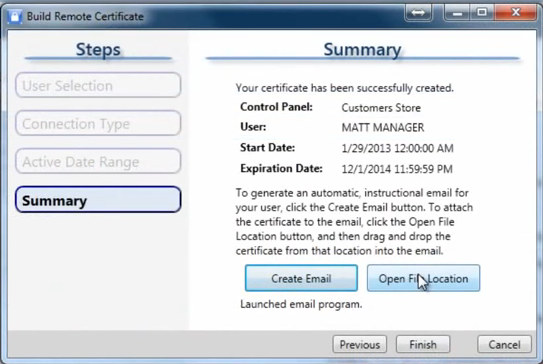 If you use an email client on you computer such as Outlook click Create Email, otherwise open your web browser and log into your web based email service. 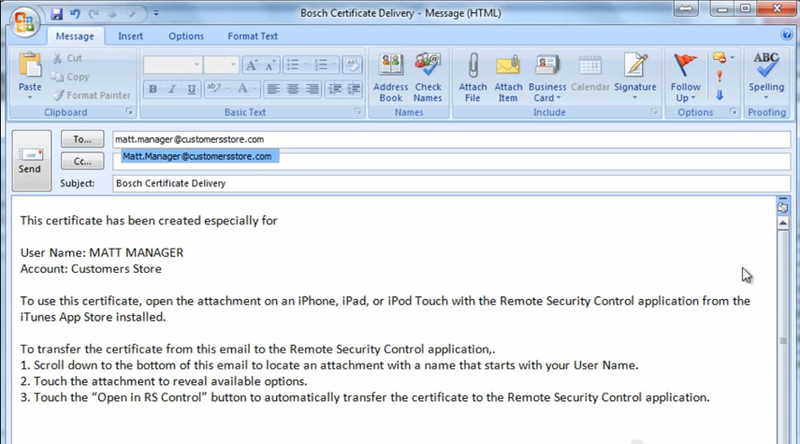 Email the certificate information to an address that is accessible on the end users device. 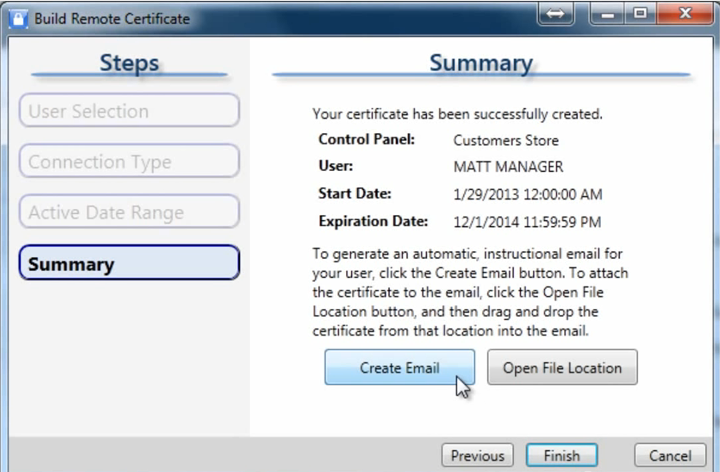 Click Open File Location, this opens the folder with the last certificate that was created. Drag and Drop the file into the email you created. 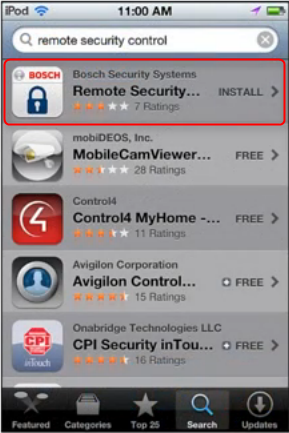 Download and Install Bosch Remote Security Control on the end user device from the Apple App Store for Iphone or Google Play Store for Android devices. 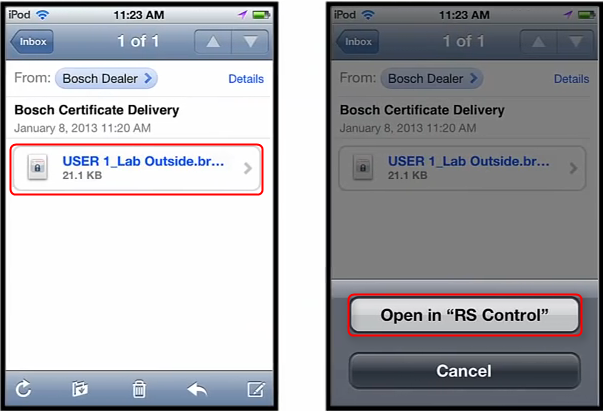 Once installed open the email sent from your Bosch Dealer. Click the Certificate then click Open in “RS Conrtol”. 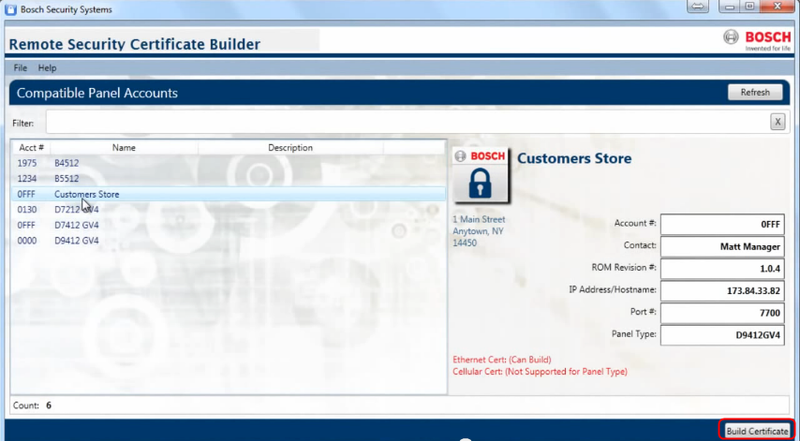 The first time you open RSC it will give you an error requesting you to select a panel, click OK. 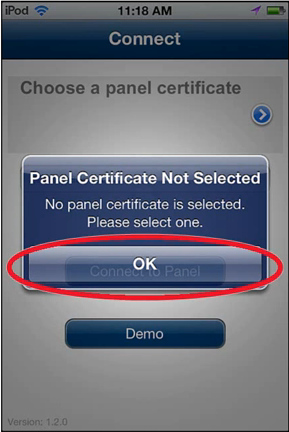 Select the Arrow to bring up the available panel certificate. 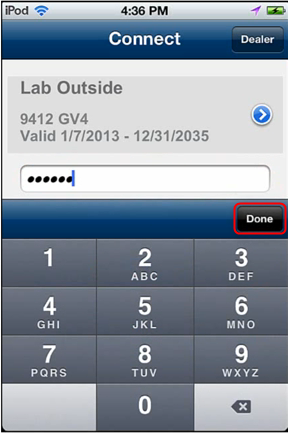 Enter in your security systems user passcode then tap Done. 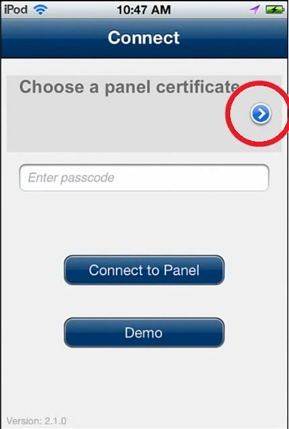 Tap Connect to Panel, you are now ready to use your Remote Security Control Application.